For a while, Tony Stark has been the most important character of the Marvel Cinematic Universe. After all, he helped kick off this whole journey in 2008, and he’s remained a reliable and sarcastic presence for the past 10 ten years. But although Stark was crucial to the events of Avengers: Infinity War—he nearly died during his battle on Titan—I don’t consider him to be the MVP. That award now goes to Thor. 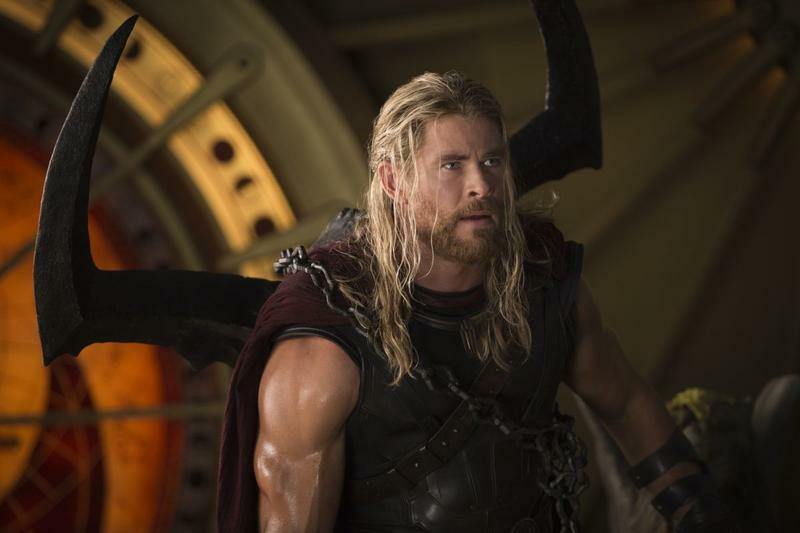 Thor’s introduction to the MCU started off with a bang, but his sophomore effort was considered a whimper. That’s fine, because Thor has only gotten better since then. He’s evolved from insufferable thespian to hilarious jock, and the results have been nothing short of fascinating to watch. His importance culminated in Avengers: Infinity War, where he was simultaneously mournful, sarcastic, regal and heroic. Don’t forget that he almost single-handedly stopped Thanos after destroying the Mad Titan’s army of space dogs. Here’s why we think he has earned the award of MVP. Thor’s life has been nothing but tragedy since he was introduced to the MCU. He was (rightly) banished to Earth by his father and deemed unworthy to wield Mjolnir. When he returned home, his mom was killed by an evil elf. Later, he thought his brother had died, but really he was just pretending so he could play dress-up as Odin. In Thor: Ragnarok, he found out he had an evil sister, Mjolnir was destroyed, and then Odin died. His luscious blond hair was then cut for the entertainment of The Grandmaster, who made him fight Gladiator Hulk. After returning home and killing his sister, he was forced to flee Asgard as the new king, but things didn’t end happily ever after. His ship was invaded by Thanos, who slaughtered half his people. Then his brother was killed for real and Thor was left to die, before being rescued by the Guardians of the Galaxy. Needless to say, his life hasn’t really been filled with much joy over the past few years. Even with all that tragedy, he understands that he has a destiny and refuses to give up. It’s what drove him to create Stormbreaker and coming within inches of killing Thanos. When Thor is rescued by the Guardians, it quickly becomes apparent that he fits in with the team really well. His evolution as a comedic presence was perfectly suited for the maverick attitude of the group—a heroic family away from the Avengers. Together, they strike the perfect balance between serious and funny. The tone is set early when Thor is introduced to the group. First its awe, then confusion, then excitement. It all leads to some wonderfully funny interactions: Drax and Gamora can’t help but admire his physique, while Rocket is infatuated with Thor’s quest to create Stormbreaker. And I loved how Thor introduced his friend “Tree” during the battle of Wakanda. Marvel has already said they want to further explore the cosmos when Avengers 4 concludes. If the studio ever phases out the original Avengers and digs into the spoils of the Fox acquisition, keeping Thor around would help ease the transition. He’s a tangible connection to the old team who operates just as well in places beyond Earth. And, like we said, he works so well with the Guardians. Following the events of Thor: Ragnarok, it feels like his story is just beginning as king. Marvel could just as easily explore the cosmos with the Guardians and Captain Marvel. Hell, make a movie with Thor, Valkyrie, Korg, and Loki, and I’m there. There’s so much Thor still has to offer, as we’ve seen from his two previous appearances. And now with Stormbreaker at his disposal, he has the power to summon the Bifröst, allowing him to travel through space with ease. I know Thor has already gotten a trilogy, but he’s one character who should get a fourth film. Along with Captain Marvel and Spider-Man, he should be the driving force of the MCU’s Phase 4. As Thor’s character has evolved, he’s also become more powerful. He’s always been the MCU’s most powerful Avenger, with the skill and fortitude to defeat Hulk. But starting with Thor: Ragnarok, he has an even deeper understanding of what he’s capable of. He’s now capable of summoning lightning without Mjolnir, and with Stormbreaker at his disposal, he can conjure the Bifröst.